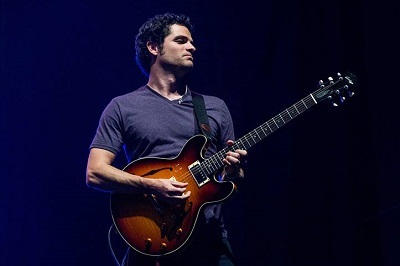 The Guitar Sanctuary is proud to present The Mark Lettieri Trio with special guest Shane Henry at The Sanctuary Music & Events Center on Friday September 28th at 8pm (doors open at 7pm). Serving as Spark and Echo’s core rhythm section – and rounding out Lettieri’s live trio - are two stalwarts of Dallas, Texas’ jazz and groove scene: drummer Jason “JT” Thomas and bassist Wes Stephenson. Thomas, a fellow Snarky Puppy player, is a veteran session drummer whose résumé includes Marcus Miller, D’Angelo, and as a member of Roy Hargrove’s legendary RH Factor band. Stephenson, a respected composer in his own right, is the leader of the fusion group the Funky Knuckles, signed to Snarky Puppy’s GroundUP record label. When the trio hits the stage, Lettieri’s songs take on an intended deeper dimension. With Thomas and Stephenson providing the rock solid groove, and Lettieri the melodic and harmonic navigator, the band pushes and pulls upon each other with ebullient elasticity and extended improvisation. Yet they always remain honed in on the music’s solid hooks and compositional anchor points. Each instrument has an equal role to play in the larger matrix, and the chemistry of these three musicians is world-class. Henry’s stunning new album, Light in the Dark (due for release April 28), conveys that intent without hesitation. 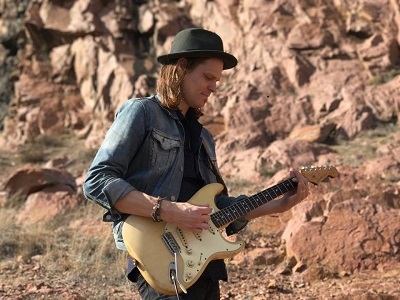 Over the course of its eleven songs, it seals the divide between blues and pop, resulting in a sound that boasts elements of both, while also retaining a freshness, spontaneity, and yes, an instantly infectious and accessible sound that expands his boundaries as both a songwriter and a musician. It brings his career to new heights, the accrued accomplishment derived from a fifteen year journey that spans six previous independent releases -- You’re Comin’ Home (2000), (2004), The Love EP (2007), Beauty in the Struggle (2011), and a pair of holiday EPs with Maggie McClure, First Thing on My Christmas List (2012) and Happiest of Holidays (2015) -- a steady diet of touring and solo performances, and continuing praise from his peers.